Media rooms are common living areas with a complete home entertainment system, including a HD Television, a high-definition DVR, a Blu-Ray player, and a full surround sound audio system with in-wall / in-ceiling or bookshelf speakers. Turning your family or game room into a Media room is a specialty of Sky Vision. We make it easy to turn your existing family room space into an entertainment system that the entire family can enjoy! Typically, media room systems make use of a variety of different components, from different audio and video receivers to game stations all with their own remote control. Sky Vision eliminates the clutter of multiple remote controls by installing a custom programmed control system in every media room we build. Also, when using RF based control systems, all of your equipment can be located in a closet or cabinet completely hidden from view! To learn how a well designed Media Room can compliment your home, call and schedule your free in-home design consultation, today. And be sure to visit our Home Theater Gallery to see the latest installations from SkyVision AV Design & Integration. 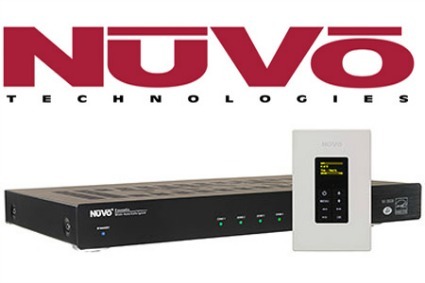 Top Brands: Sky Vision is an authorized dealer of audio systems from the industry’s top manufacturers like Nuvo, Paradigm, Proficient, Energy, and Russound. Simple to Use: Like every Sky Vision system, our whole-house distributed audio systems are extremely easy to use. We offer a variety of control options from wall-mounted volume controls to wired and wireless touchpanels. A Variety of Sources: The systems we install allow you to enjoy music centrally stored on a music server, an iTunes library on your Mac or PC, satellite radio, streamed over the Internet, terrestrial radio using your existing audio sources. Within Your Budget: Sky Vision has a distributed audio system for you, regardless of how big or small your budget may be. You won’t find a better value for your new home audio system anywhere else. Having a whole-house distributed audio system can make your home a better place to live. Sky Vision uses only the top brands of distributed audio and is an authorized dealer for the industry’s top manufacturers like Nuvo, Paradigm, Proficient, Polk, and Niles. Like every Sky Vision system, our whole-house distributed audio systems are extremely easy to use. We offer a variety of control options from wall-mounted volume controls to wired and wireless touch-panels and iPad and iPhone control. The systems we install allow you to enjoy music from many combination of sources such as: MP3s centrally stored on a music server, an iTunes library on your Mac or PC, satellite radio, Internet radio services, terrestrial radio and/or use your existing audio sources. Sky Vision has a distributed audio system for you, regardless of how big or small your budget may be. You won’t find a better value for your new home audio system anywhere else.